I have been playing my holy pally, and want to get the color of the whole health bar to change after I use holy shock on a target and apply glimmer of light to them so that I can easily see all the players in my raid who have a glimmer already on them (Is this possible to do?). 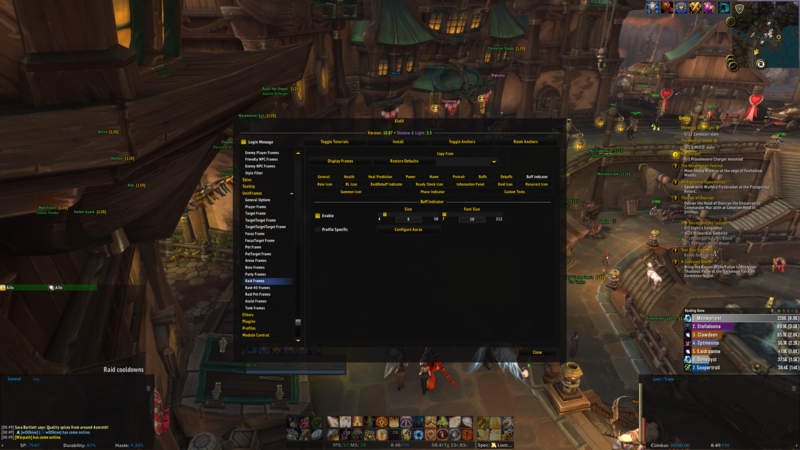 I do not know how to do this, I have been fiddling with the settings for a couple hours but just can't figure it out. I also want a textured icon to show up on the top of a players health bar showing glimmer of light. 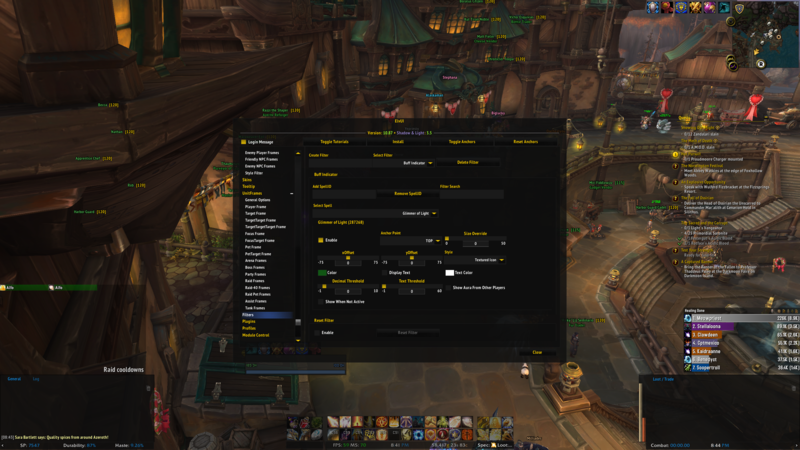 As you can see in the images, I created a buff indicator filter, and also enabled buff indicator inside of ec > unitframes > raid frames, but I am still not getting an icon image on people's frames when I cast it on them in raid. 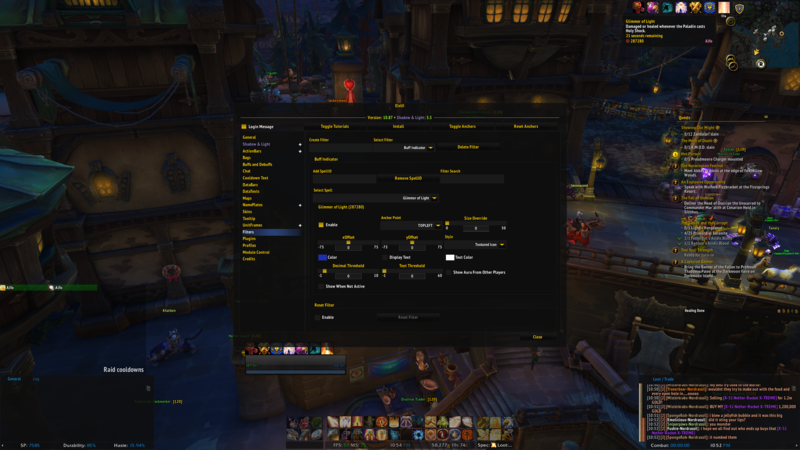 There isn’t an option to change the colour of the Unitframes when you cast holy shock. As for the buff glimmer of light, where did you get the aura id from? You need to get the aura id (cast on yourself and mouseover the buff near the minimap and get from the tooltip) and not the spell id from either the spell book. Upload a screenshot of the aura id from the buffs near the minimap. Ok, I'll just have to manage with an indicator box in the top left of the player frame. I was using the spell id from Wowhead (which was incorrect I guess), I did not realize that I could find out the spell id this way, thanks. Does this look like a proper filter to make it so that this buff will show in raid frames? You can always get in a quick raid group with a friend (convert party to raid) and then cast the spell on yourself or your friend, that will let you test it easily. I guess I'll post my question under this threat, because it's nonsense if I open up a new one, hoping someone will ask my question properly. Actually I'm having more or less the same issue like the thread-owner. I displayed the holy glimmer stacks already in my party/raidframe on my own... but I was wondering if it isnt possible, even by writing code somehow, to display the holy glimmer stacks by changing the backround color of the unitframes as soon as you hot them. To make sure what I mean, here is a video that is showing exactly what I (or we) want to do with it. ~ The pala in the video used grid2, but still. His glimmer stacks appear green backrounded. I hope you guys can help me out with this. There are no options for that and I don't have any code to share that achieves this. I know there is a plugin, but it only works with debuffs now, although it has not been updated for a long time, why can't we do the same with the buffs? If someone wanted to make a plugin then they can do that. This has deviated off the original topic thread. Closing.